Blue Water Highway runs just outside of Freeport up towards Galveston along the Texas Gulf Coast. This is the part of the world where the cultures of Texas and Louisiana collide in a unique melting pot steeped in the traditions of the people of both states. It is here, in the town of Lake Jackson, TX, that Zack Kibodeaux and Greg Essington became high school friends after Zack witnessed Greg playing Billy Joel's "Piano Man," and immediately enrolled in piano lessons himself. Their partnership included performing in musicals and local coffee shops, until the friends went their separate ways after high school. Greg headed to New York City to pursue a degree in music technology. Zack went to Texas State in San Marcos to study vocal performance, specifically opera. Soon, Zack was writing songs and sending them to his friend in New York. Finally, he coaxed Greg back to Texas to form the band he had been hearing in his head. Although they had landed in their adopted hometown of San Marcos, when it came time to name the band the first thing that came to mind was the landmark back home on the coast. The two dubbed the band, Blue Water Highway Band, and began to create a sound as unique as the region they came from. Finding the right group of people to complete the band came with its own set of challenges. Zack turned to Catherine Clark, a fellow opera singer, to complete the three part harmonies that the band would soon to be known for. Kyle James Smith was enlisted as the bassist and Zach Landreneau joined on keyboards, lap steel, guitar, accordion, and pretty much any other instrument you can think of. The band released a self-titled, six song, EP in 2013 and then followed that up with the full length LP “Things We Carry” in 2015. This album featured the single “Medicine Man” that quickly became the closing song in an increasingly popular live show. 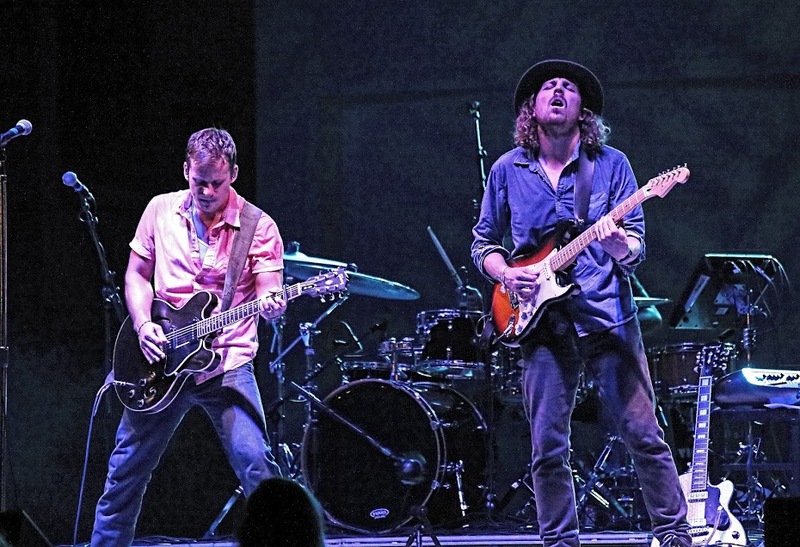 The band began touring across the United States in 2015 and continues to define themselves as a live act built on excellent musicianship, great songs, and that signature three part harmony that sets the band apart from their peers. They continue to explore new sounds and musical landscapes will remaining true to their roots along the Blue Water Highway.